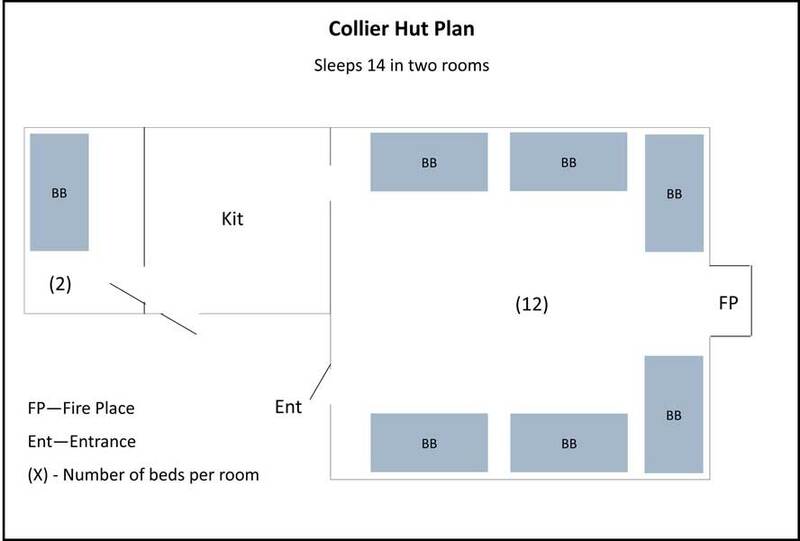 The Collier Hut is a bunk-house style cabin with one main bunk room sleeping 12, a kitchen and a separate leaders room sleeping 2. 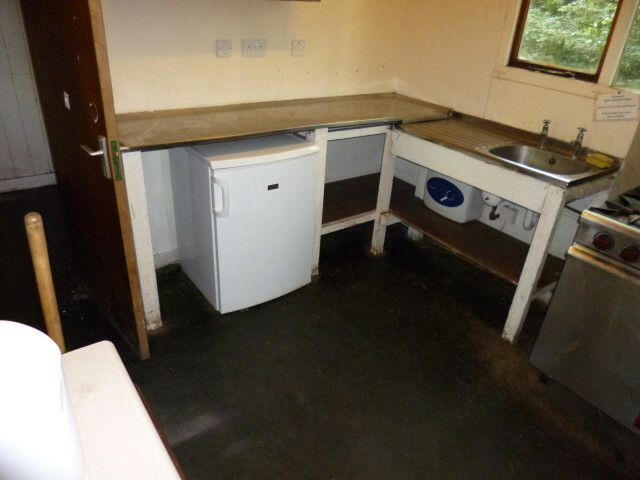 Kitchen with stainless steel worktop & sink unit, gas cooker, electric water heater & insect killer. Fridge (119 Litres net) with ice box (18 Litres net). £1 coin operated electricity meter. Gas included in cabin price. Cutlery, pots & pans are not supplied. There is a 250Litre (Net capacity) freezer available to rent in an external store at the shower block. Bunks to sleep 14 people. 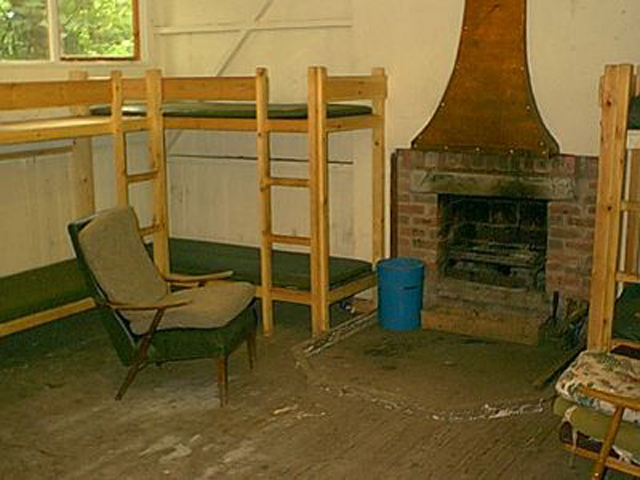 12 in main bunk room plus a separate leaders room behind kitchen with a bunk-bed for 2. Gas cooker, fridge, insect killer, electric water heater, stainless steel worktop & sink. 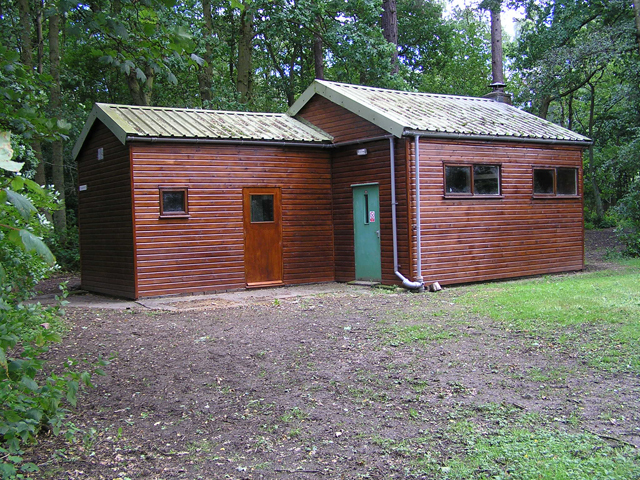 You can view the availability of all our cabins & shelters together on one page. If you haven't booked yet, the easiest way is by using our online booking form.